About: Vitamin D toxicosis is a build up of Vitamin D in the blood, which leads to increased levels of calcium in the blood. Diagnosis: Baseline tests which will reveal high levels of calcium in the blood and the urine. X-rays to look for mineralisation of tissues and bone loss. Treatment: Gastric decontamination if rodenticide has been ingested along with activated charcoal and vitamin K injections. Phosphate binders to decrease phosphate levels in the blood, diuretics to increase excretion, prednisolone to reduce bone and intestinal absorption. IV fluids to treat dehydration and help the body excrete excess calcium. Vitamin D is a fat-soluble vitamin (meaning they are stored in the liver and fatty tissues) which is responsible for helping the cat maintain levels of calcium and phosphate in the body and promoting the mineralisation of bones. When blood levels of calcium drop, vitamin D is activated, which helps the gut to absorb more calcium from food and reducing urinary calcium loss. Vitamin D is produced in the fur (or skin in humans) upon exposure to sunlight and also ingested in small quantities via food. Foods containing vitamin D include fish, liver, dairy products, and egg yolk. Vitamin D toxicity can occur in cats of any age, although kittens and young cats are at greater risk than adult cats. 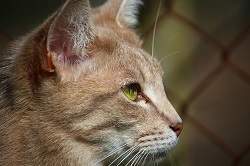 Accidental ingestion of rat poison containing cholecalciferol (vitamin D3) is the most common cause of os vitamin D toxicosis in cats. Secondary poisoning, due to eating a rodent who has ingested rat poison. Over-supplementation of vitamins can also occur. Fish liver oils, in particular, can cause high levels of vitamin D. You should never give supplements to your cat without veterinary approval. Ingestion of certain human medications can increase vitamin D levels. Feeding an imbalanced diet containing foods rich in vitamin D such as liver and fish. These are fine in small quantities, but should not be given regularly. The effects of vitamin D toxicosis can be due to acute or chronic exposure. Young cats are more prone to developing vitamin D toxicosis, however, it can occur in cats of any age. 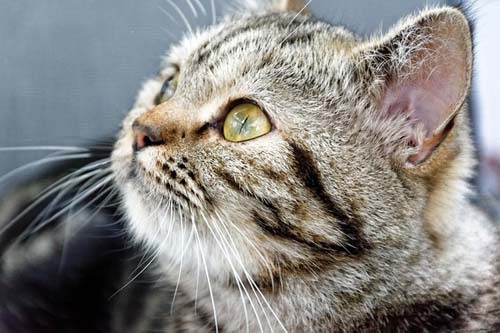 Cats with predisposing conditions such as kidney failure or hyperparathyroidism are more susceptible to vitamin D toxicosis than cats with no illness. Vitamin D toxicoses raise blood calcium (hypercalcemia) and high blood phosphate (hyperphosphatemia). Hypercalcemia can lead to calcification of various soft tissues, particularly the kidneys, lungs, arterial walls, myocardium and the intestinal tract. Skeletal abnormalities and eventually renal failure, cardiac upset, and GI upset. Symptoms may vary depending on the level of toxicity. For example, acute vitamin D toxicity is more likely to occur if your cat has ingested rat poison, chronic toxicity if your cat has been fed an improper diet. Long-term complications of vitamin D toxicity can include kidney stones, kidney failure, abnormal heart rhythms and excessive bone loss, mineralisation of certain organs, such as the lungs can produce a chronic cough due to their inability to contract as they should. Your veterinarian will perform a complete physical examination and obtain a medical history from you including questions on possible exposure to rodenticide or vitamin supplementation in the diet. Biochemical profile which may reveal hypercalcemia (high blood calcium levels), hyperphosphatemia (high blood phosphate levels), and azotemia (high urea levels in the blood). Elevated BUN (blood, urea, nitrogen) levels can indicate kidney failure. Urinalysis will reveal high levels of calcium in the urine. An x-ray which will reveal mineralisation of certain tissues as well as bone loss. Echocardiogram (ECG) to evaluate the heart. Prompt veterinary attention is vital to remove as much vitamin D as possible and prevent further absorption. Your cat will need aggressive treatment and will be required to stay in the hospital for several days. Induce vomiting for acute exposure to a rodenticide, activated charcoal which binds to the toxin in the intestinal tract and prevents further absorption, vitamin K injection to assist with blood clotting and in severe cases, blood transfusion. Phosphate binders to decrease phosphate levels in the blood. IV fluids to treat and correct dehydration if necessary. Reduce serum calcium by flushing it out of the body, this may be accomplished by diuresis (facilitation of increased urine output) with normal saline solution. Calcitonin is a hormone which is produced by the C cells of the thyroid gland when blood levels of calcium are elevated. It works by inhibiting the activity and formation of osteoclasts (cells in the bone which breaks down bone tissue). Calcium enters the bloodstream when osteoclasts break down bone. Your veterinarian may prescribe an injectable synthetic form of this hormone to help bring down calcium levels. Furosemide is a loop diuretic (water tablet) to increase excretion of calcium via the kidneys. Prednisolone to reduce bone and intestinal absorption of calcium and increase kidney excretion. Never give your cat supplements unless told to do so by a veterinarian. 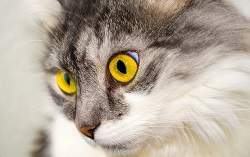 Avoid the use of rodenticides if possible and keep all poisons locked away from cats. Feed a well-balanced diet, home-prepared is fine but only feed liver and fish in small amounts. Keep all medications and creams away from your cat. While most tend to be more discriminating than dogs, some cats are curious enough to eat medications they shouldn’t, especially kittens. Don’t let your cats hunt. A poisoned rat or mouse is going to be slower and easier prey than a healthy one.